A big part of the draw of travelling, especially in a country like India, is being able to interact with the locals – and boutique hotels, BnBs and homestays are a great way to get started with that! While you will certainly find some of the country’s top hotels in North India, these smaller accommodation options often offer a more authentic experience, bringing you that much closer to a local way of life. Jaipur Friendly Villa: We love this charming, four-room homestay in the pink city of Jaipur for many reasons – it’s luxurious without being ostentatious, the facilities are top-notch, the hosts are delightful… we could go on! Jaipur Friendly Villa is tucked away in a quiet, residential area close to the city centre, and gives you welcome respite from the clamour and chaos of the old city. The rooms are homely and comfortable, and have pretty much everything you could need – and if they don’t, the friendly hosts, Shveta and Kul will do their best to get you what you need! Tree of Life, Delhi: Located in a lovely, tree-lined South Delhi neighbourhood, Tree of Life is a charming option whether you’re transiting through the capital or spending a few days exploring it. This is the brainchild of Ashwani, a travel industry veteran, and the free-spirited Suruchi. Thewell-designed, modern rooms are kitted out to make you feel like you’re right at home, and there’s a common lounge area, kitchen and terrace that’s perfect to unwind in with your morning cup of tea or coffee. Bansi Homestay, Agra: Bansi Homestay feels like an oasis of calm far removed from Agra’s bustle, even though it’s only an easy, 15-minute walk away from the city’s star attraction, the Taj Mahal. Rooms are comfortable, and have lovely rain showers – all the better to wash Agra’s grit off! We really like that the owners use solar heaters for the water, and the home-style vegetarian food (available on request) is another big plus! Devra Udaipur: Rajasthan’s lake city is full to bursting with hotels, guesthouses and homestays. One of our favourites in Udaipur is Devra, located just far enough away from the city centre to offer a sense of the countryside. Run by Major Durga Das and his charming wife, Jyoti, this 10-room property is really special. The rooms are the perfect balance of modern comforts and old-world heritage, and there are loads of little nooks and corners that you’ll want to curl up with a book in. There are some nice walks around – talk to the warm owners, and they’ll point you in the right direction! And don’t miss sampling their traditional Rajasthani meals; rich and ghee-laden and bursting with flavour. Mohan Niwas, Jodhpur: Built by a member of the erstwhile Jodhpuri royal family, Mohan Niwas promises an authentic Rajasthani experience. The family opens up five rooms of their home through the tourist season, offering you a taste of home life in the desert state. They’re always happy to sit down and chat, offering you a local perspective to the city and its offerings. The lady of the house, Mrs Chottu Singh, will even open up her kitchen to you and teach you a few traditional recipes to take home (on prior request). Aashray Homestay, Varanasi: Exploring Varanasi can be an overwhelming experience. Which is why we love retreating to the tranquil environs of Aashray Homestay whenever we’re in that holy city. The owners, Mr and Mrs Kapur, are passionate about Varanasi and its history, and have created a charming space in a quiet neighbourhood that’s the perfect antidote to the chaotic ghats. The rooms are cosy and welcoming, with quaint antique accents. And Mrs Kapur’s cooking will have you returning, night after night! 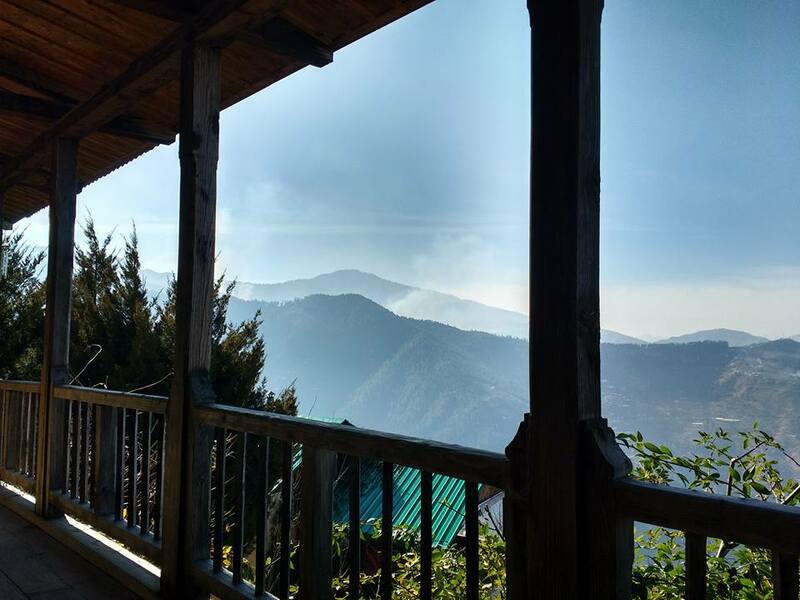 Sunnymead Estate, Shimla: You might feel like you’ve entered another era when you step into Sunnymead Estate, up in the hills of Shimla – and you won’t be too far off the mark! This lovely home was built at the turn of the last century, and still retains true to the traditional Dhajji style of architecture. None of the guest rooms are alike, each with its own bursts of colours, and full of artwork and lovely furnishings. That the owners are working to minimise Sunnymead’s carbon footprint and their use of local produce is just the cherry on the top! All Seasons Homestay, Jaipur: There are few better options than All Seasons Homestay if you’re looking for a ‘home away from home’ experience in Jaipur. Following renovations in 2016, this homestay has upped its game. Each room is uniquely themed, and most have private balconies attached. There are also two gardens to unwind in, as well as a common living area should you feel like socialising with the hosts or your fellow guests. Need more incentive? All Seasons also offers home-cooked meals (both vegetarian and non-vegetarian), as well as meditation and yoga sessions on request! LifeTree Bed and Breakfast, Delhi: Running Bed and Breakfasts seems to run in this family’s blood! LifeTree is owned by the parents of the brains behind Tree of Life, and is another great option in Delhi. There are four large bedrooms (each with an attached bath) in this bungalow, and the loving ‘house mother’ Mrs KantaBazaz-Manocha is always around should you need any sort of assistance. Dia, Pushkar: This private home-turned-Bed and Breakfast offers a different take on the holy city of Pushkar. The five, airy rooms are all charming in their own ways, with plenty of natural light and gorgeous furnishings. It’s an easy walk to the centre of town, where all the action is (and they also offer complimentary transfers at certain hours if you so wish). Most rooms either have a spacious verandah or open out into the common courtyard, providing plenty of serenity after a day spent exploring! Still not sure what’s best suited for you? We can help you find the best homestays and boutique hotels in North India, and we’ll plan your dream Indian vacation, too!